10′ Hobie longboard made in the early 1960’s. 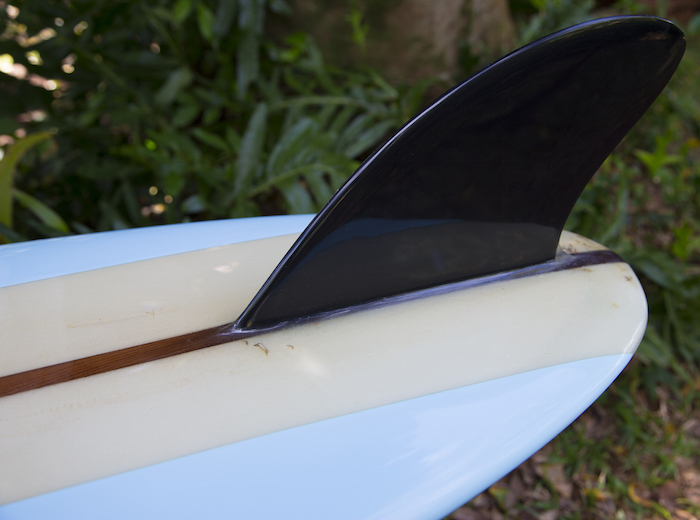 This board was fully restored by a surfboard restoration expert with over 30 years of glassing experience. Hobie Alter will be remembered for creating the process of the foam-and-fiberglass surfboard & his subsequent creation of the Hobie Cat catamaran sailing boat line. 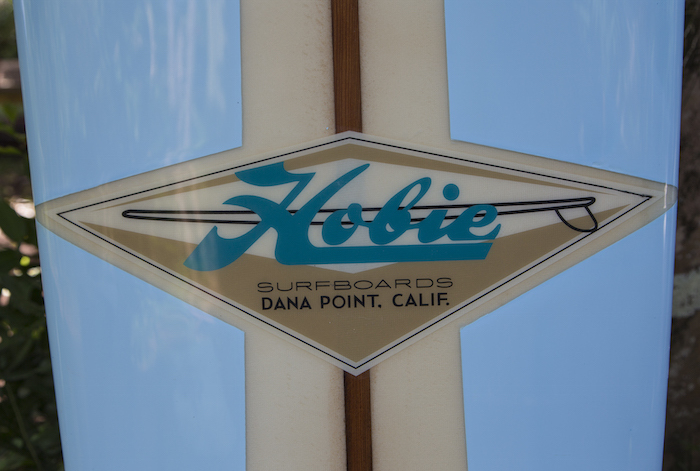 His label, Hobie, remains one of the top-selling surfboard brands of all time. He is also the creator of the Hobie 33 ultralight-displacement sailboat and a mass-produced radio-controlled glider, the Hobie Hawk. The new foam boards were called Speedo Sponges and Flexi-Fliers, and Hobie was soon manufacturing 250 a week. Clark eventually took over the foam operation, renaming it Clark Foam, and he serviced the lion’s share of the world’s surfboard blank market until abruptly shutting down the company in 2005. Alter was a surfing competitor in his younger days. He won the second Brooks Street contest in Laguna in 1954 and placed third and fourth at the Makaha International Surfing Championships in 1958 and 1959. He achieved success as a tandem surfer, placing second in the event at Makaha in 1962. Alter added to his personal notoriety by making the Guinness Book of World Records in 1964, surfing the wake of a motorboat 26 miles from Long Beach to Catalina Island.